Citi FM and TV’s bureau Chief for the Middle Belt (Ashanti and Brong Ahafo) regions is now a master of philosophy (MPhil) in political Science. He graduated from the Kwame Nkrumah University of Science and Technology. 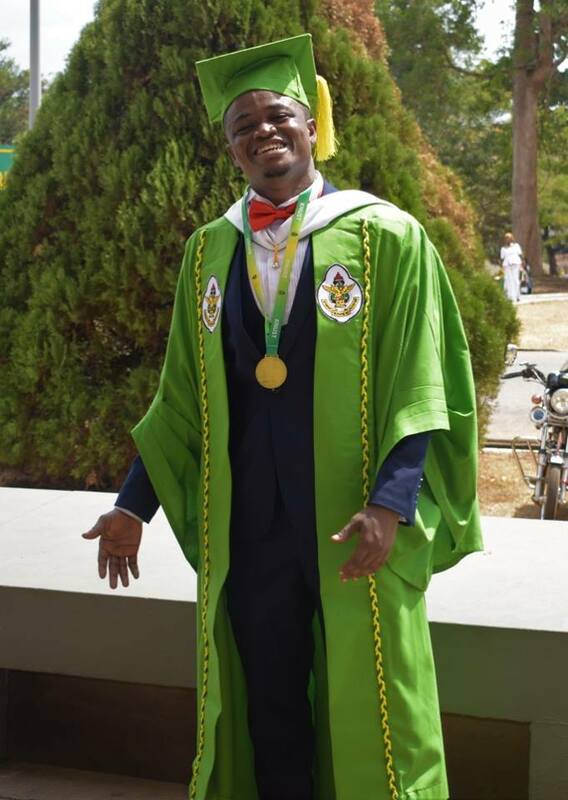 Mr Edward Oppong Marfo who read Bachelor of Arts with major in Akan and minor in political Science and was awarded his first degree in 2013 from the same University, was among thousands of graduates who were graduated in this year’s special congregation. Having served as the public relation officer and Editor in Chief of the Graduate Students’ Association of Ghana, KNUST Chapter, Mr Marfo also worked at focus FM from 2010 to 2018 where he served as the news editor of focus FM, the university’s campus radio station, a role he played till his move to Citi fm. Mr Marfo’s exploits in the media seems to stem from his deep-rooted interest in development journalism. He believes telling the stories of the vulnerable, giving a voice to the voiceless is paramount to propagating and championing a just society while fueling the development of Ghana, Africa and the World at large. KNUST in recent times has two congregations, the traditional July congregation where undergraduates and postgraduates are presented for graduation and the special congregation otherwise called the Founder’s Day congregation which mainly focused on the postgraduates. This year however, some undergraduates were graduated during the special congregation. Some one hundred and twenty-two Doctor of Pharmacy top up students were graduated. thirty-eight students also graduated with Doctor of Philosophy (PhD) degrees. According to the Vice Chancellor, a total of three thousand seven hundred and twenty-nine graduates consisting of one thousand two hundred and sixty-eight undergraduates and two thousand four hundred and sixty one postgraduates graduated. While three hundred and sixteen were from the college of Arts and Built Environment, one hundred and forty-five from college of Agriculture and Natural Resources, one hundred and ninety-two from college of Engineering, four hundred and thirty-seven from college of health Sciences, eight hundred and forty-one from humanities and social sciences, two hundred and fifty from the college of Science, a total of two thousand three hundred and eighty-seven were from the institute of distance learning. The Founder’s Day congregation which hitherto took place in November, was moved to February following the demonstration and closure of the university some time in October last year.